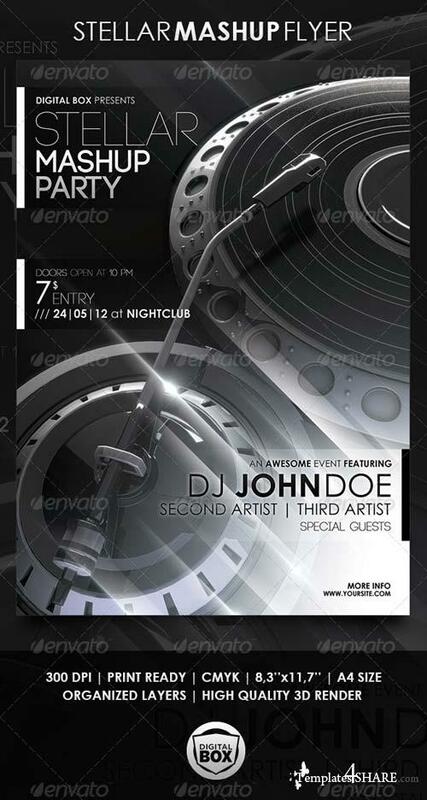 Stellar Mashup Flyer is a flyer template perfect for nightclub events. The design features a high quality 3D rendering. All layers are neatly organized in folders so the editing is easy and fast.